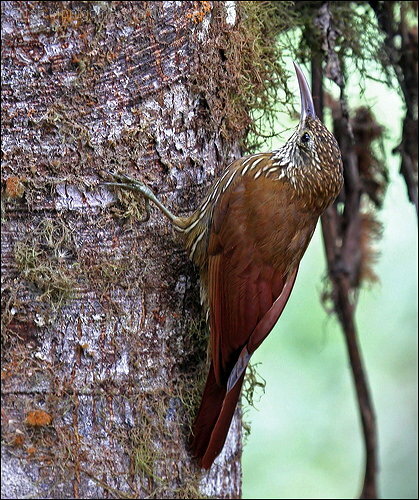 Ovenbirds or furnariids are a large family of small suboscine passerine birds found in Mexico, and Central and South America. They form the family Furnariidae. The Ovenbird (Seiurus aurocapillus), which breeds in North America, is not actually a furnariid – rather it is a distantly related bird of the wood warbler family, Parulidae.